Mountain sports and other Outdoor Activities in Liguria. Information on the national parks, nature reserves and locations for hiking, walking, mountain biking. Do you want to get active? Do you love nature? Liguria is a paradise for keen hikers. The combination of mountains and sea offers diverse scenery for demanding hikes and trekking tours, as well as for gentle strolls along the sea. Experience the breath-taking variety of nature and soak in the calm atmosphere of the mountains. There is no better way to relax and to get away from it all. There are plenty of challenging trekking routes to choose from. You simply can’t put a price on the breath-taking panorama view from the top of a mountain that you scaled by your own strength and this reward makes it easy to forget the effort required to get there. This is where freedom flows through your every vein. After an eventful hiking trip, you can look forward to a relaxed evening in your holiday home or apartment. End the night on a quiet note with a home-cooked meal on the terrace, exchange your experiences and start planning the next walking tour. The Ligurian high-altitude walkway is approx. 440 km long and extends from Ventimiglia to Ceparana (the beginning of Tuscany). On this pathway the unique views from the mountains down to the sea are particularly impressive. The pathway is divided into 43 stages which can also be tackled separately, and there are many sections suitable for the handicapped as well as for baby carriages, so that everybody can experience the breath-taking natural views. 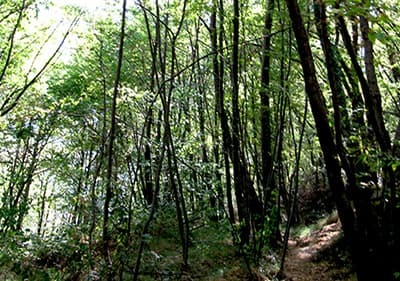 The Piana Crixia national park lies in the hinterland of Savona near Altare. It was founded in 1989 and has an area of 795 hectares. It is, above all, worth seeing because of its unique natural creations like the 15 metre high mushrooms, which formed themselves out of the rocks. The park connects Liguria with Piemont. Portofino is not only a place for the rich but also a diving paradise and a marvellous national park for strolling through diverse fauna and flora. The park was founded in 1935 and claims 3100 hectares as its own. It extends from Portofino to Ruta. A very beautiful stretch with breath-taking views is, for example, that from Portofino through the Monte Portofino to Portofino Vetta. You can then make a small excursion from here to Camogli by bus, so as to travel back to Portofino by ship. Another beautiful pathway is the Via di San of Fruttuoso through which you can connect from Ruta to Vetta di Portofino. 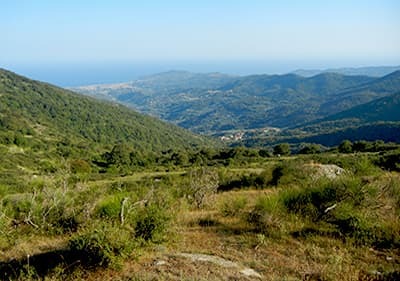 The Beigua national park is located near Varazze and is the largest pedestrian park, with an area of 8715 hectares in Liguria. It was founded in 1995… The park offers natural scenery with its impressive fauna and flora unique to the mountains. Probably the most interesting pathway is the section of the Ligurian high altitude walkway which goes through the park completely. Would you like to have a nice excursion along the seaside? “Passeggiata al Mare” is exactly what you need! It was a railway line in the past; now you can stroll, cycle or skate from San Lorenzo al Mare to Ventimiglia. The five small but famous fishing villages of Vernazza, Riomaggiore, Manarola, Monterosso and Volastra are only connected to each other through pathways. You may only travel to the national park by train or by boat. The car must be left on the outskirts of the villages. Probably the best-known pathway is the Via dell Amore which connects Manarola with Riomaggiore. There are many benches along here on which one can relax and enjoy the breath-taking views over the sea and the steep shores. Nature comes first in this wonderful place. Guided trekking tours, e.g. Antola Park and the Alta Via, East Genoa Trekking, Castles Trek.